One major challenge for digitally signing a document is the so called “what you see is what you sign” problem. XML as a meta language for encoding semistructured data offers new opportunities for a solution. The possibility for checking fundamental properties of XML-encoded documents (well-formedness, validity) can be used to improve the security of the signing process for such documents. 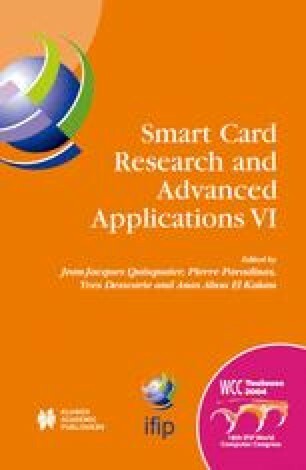 In this paper we present an architecture for checking and signing XML documents on a smart card in order to enhance the control over the documents to be signed. The proposed architecture has successfully been used to implement a secure, smart card based electronic banking application for the financial transactions system FinTS.